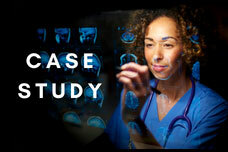 Case Studies is a series of essays that examines the interplay between medical conditions and the legal system. The first article addresses the growing incidence and unintended repercussions of alcohol abuse among some who undergo bariatric surgery to treat obesity. Some patients with no history of alcohol abuse begin to drink heavily post-surgery, substituting alcohol for the large amounts of food their bodies were accustomed to consuming but can no longer tolerate. Dean Song Richardson of the UCI School of Law and PhD student Donna Gloria join me in describing an actual case. Then, Associate Justice Eileen C. Moore of the California Court of Appeal, a UCI graduate and a registered nurse, describes how the law might respond to such a situation. After an abusive childhood, with a family history of heavy alcohol use, followed by an abusive marriage, 42 year old registered nurse Alicia* began stress eating. In 2006, she underwent a Roux-en-Y gastric bypass surgery. Alicia was elated with the results. Within a few months, she felt increasingly confident in her new body, was promoted to a prestigious position as a travel nurse, serving as an expert at elite hospitals, and began dating and socializing. Within eight months, Alicia went from a body mass index of 48 to 28. However, her constricted stomach size meant she no longer derived pleasure from eating and she compensated by drinking that became an addiction. Within a short period of time, she was charged and convicted of four DUIs. Alicia’s biggest obstacle as an ex-offender was securing employment. She volunteered at UCLA Ronald Reagan Medical Center and was later accepted into the “Bachelor to PhD” program at UCLA School of Nursing. While she initially hid her secret past as an addict who spent time in prison, she began opening up to several empathetic faculty members. In 2015, when her nursing license was reinstated, Alicia volunteered with Dr. Nyamathi as a nurse on a research project about criminal stigmatization. becoming drunk much more quickly after surgery. Driving under the influence presents a major public safety concern. It cannot be tolerated, no matter the underlying reason. Assuming no injuries are caused by a drunk driver, the first three violations are typically processed as misdemeanors, but the fourth might be charged as a felony. Additional DUIs would certainly be filed as felonies and involve jail or prison time. To avoid the revolving door of incarceration, our legislators are increasingly considering and passing laws geared toward rehabilitation, apparently recognizing that not all offenders should necessarily be considered criminals. This acknowledges that it is in everyone’s best interests that offenders should be employable after they rehabilitate themselves. With an emphasis on finding an effective way to prevent injuries, damages and death caused by drunk drivers, California courts, with the full support of law enforcement, have established specialized DUI courts designed around behavioral modification. A key component of this approach is convening a group of professionals, including the judge, prosecutor, defense lawyer, probation officer, mental health professionals, among others, to meet and discuss each defendant’s circumstances before their court hearing. Most likely, an individual with the same history and multiple DUIs as the person described by Deans Nyamathi and Richardson, would now be recommended for DUI court. DUI courts try to “unpack” the individual’s underlying problem by recognizing, for example, that someone with multiple drunk driving violations may have a mental health issue. But which came first, the mental health issue or the overuse of alcohol? In the case described here, the underlying condition could be a mental health issue, the addictive behavior, or some other physiological problem. DUI courts are equipped to address these issues. Thus, in addition to fines, driver’s license suspension, extensive educational programs and an interlock device that prevents starting a car with alcohol on one’s breath, the defendant would be examined and monitored by mental health professionals and, perhaps, medical doctors. And the smallest violation of a court order during the process, even being five minutes late for group therapy, will involve an immediate response. This could be as little as requiring the defendant to write an essay or spend the night in jail. United States Supreme Court Justice Louis Brandeis popularized the phrase about states being laboratories for democracy to try novel social and economic experiments. Since the mid-1970s, California’s approach toward criminals has been largely aimed at punishment. However, evidence has revealed that without treatment and rehabilitation, convicts are often unemployable. California’s commitment to its collaborative courts, a name given to them because so many professionals work together to determine the best approach for each individual defendant, is part of our experiment with democracy. And California’s experiment seems to be working. Only 9.6 percent of DUI court graduates who have been out of the program for five years were re-convicted of DUI within that time. In contrast, a study by the California Department of Motor Vehicles shows that 21 percent of second offense drunk drivers and 25 percent of third offense drivers in the state were convicted of a subsequent DUI offense within five years. The study shows that those numbers continue to rise over time, to 35 percent and 43 percent respectively, while the line of DUI court graduates levels off below 10 percent. 1. The “ban the box” initiative and California Assembly Bill 1008. 2. Cuellar-Barboza et al., 2015; King, Chen, Mitchell et al., 2012; Mitchell et al., 2015; Suzuki et al., 2012.